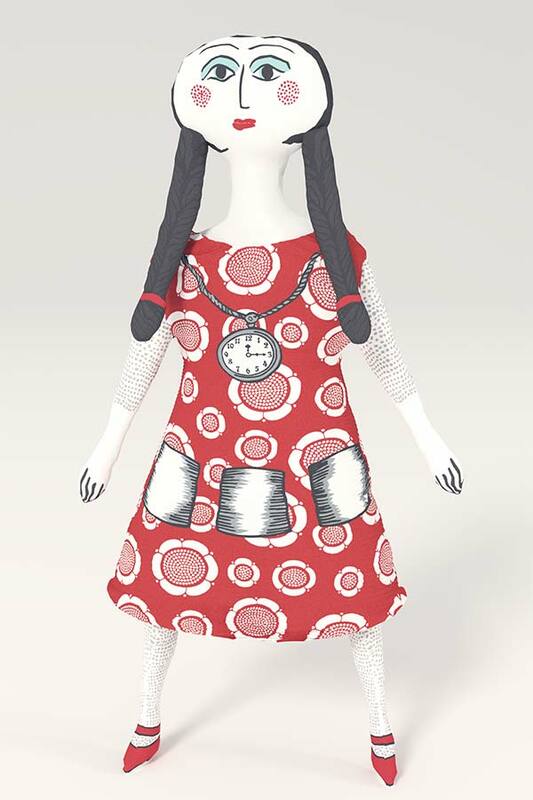 Birger Kaipiainen designed a cloth doll called Annamolla for the readers of Anna magazine in 1967. Doll fabric was cut, sewed and stuffed at home with the help included instructions. 50 years later Kuovi brought back Annamolla and also created a group of colorful new friends for her: Armimolla, Eevamolla, Helmimolla, Maggimolla, Mariamolla, Marttamolla, Rauhamolla and Ritvamolla. Kuovi's dolls are not common cloth dolls because they have rather sophisticated appearance. Their hairstyle, shape of face and slim limbs resemple the Byzantine female figures often featured in Birger Kaipiainen's art works. 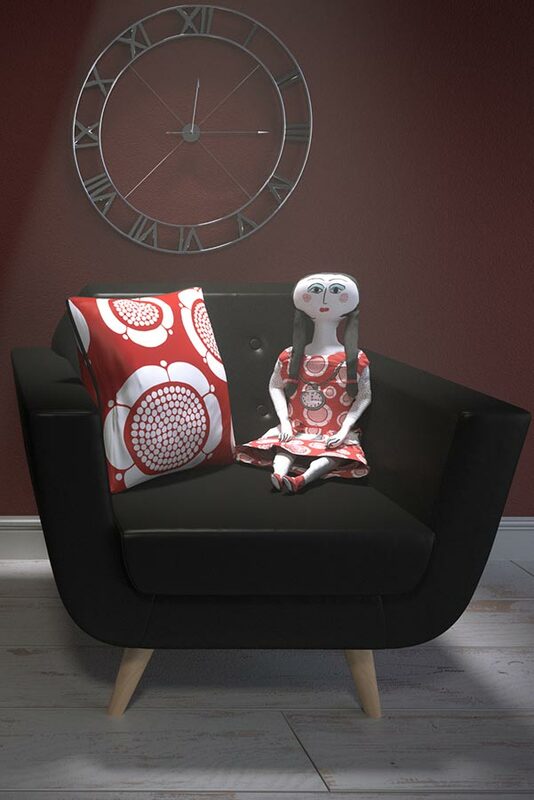 Kuovi's dolls are suitable for people of all ages. The price includes 200 grams of non-allergenic polyester wadding for doll stuffing. All you need are scissors, yarn and sewing tools to make the doll. 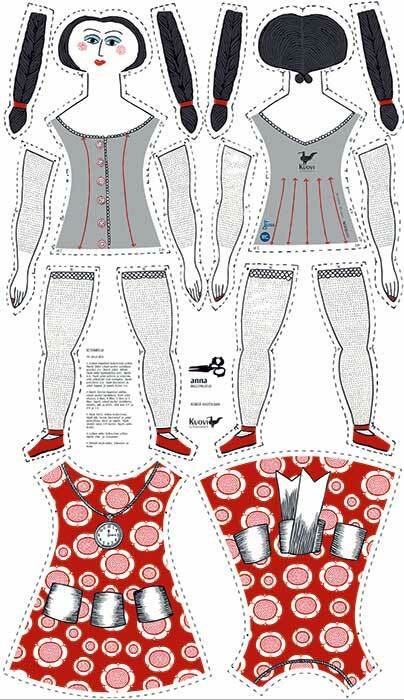 Doll's dress is separate, so you can buy or make yourself new clothes for her. If you do not want to sew the doll yourself, you can order it made for you by adding a Doll sewing service into your order.